There still are some loyal people out there. NFL.com posted a story today about a guy named Matt Rowell, who they classify as a “yard-sale enthusiast,” which basically means either a guy that watches a lot of “Storage Wars” looking for loot to sell, or someone who is too lazy to get a job. Anyway, seems that Rowell found at a recent house selling all their junk a prize – a playbook from the Carolina Panthers from Super Bowl XXXVIII, won by the Patriots 32-29. 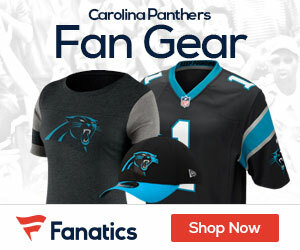 Like what – that Jake Delhomme was overpaid? The 26-year-old “yard-sale enthusiast” also found a pair of Kris Jenkins’ size 16 cleats. I can’t imagine how you just “find” something like that, but whatever. Rowell, looking for 15 minutes of fame, has decided to GIVE THE PLAYBOOK BACK to the Panthers, probably in hopes that the team will give him an autographed Cam Newton ball or something like that. Interesting sidenote to the ordeal, Rowell also found a pair of 2004 Pro Bowl playbooks, which he plans to keep, and will probably at some point turn up on EBay. That is unless he gets guilty about that too.